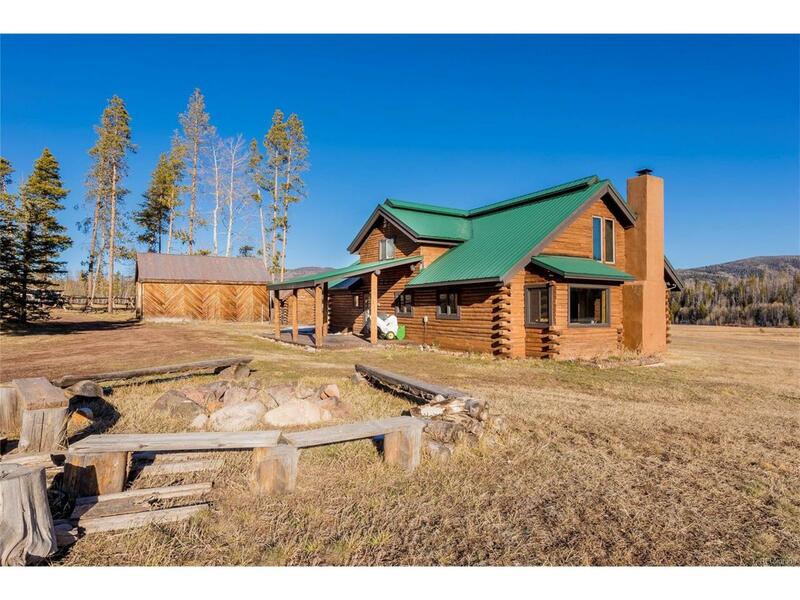 This log cabin in the woods is a peaceful retreat ready for a primary resident or second home buyer. Located in High Cross Subdivision at Stagecoach, it encompasses 5.26 acres of open, high country meadows and forests. Only 8 miles from Stagecoach Reservoir for the fishing & boating enthusiast. Abundant wildlife, breathtaking views and adjacent to 95 acres of open space add to the property's beauty. The home features new appliances, new windows, new hot water heater, new wood floors and carpeting. and fresh paint throughout. The interior is complimented with knotty pine tongue & grove ceiling and a wood burning fireplace. Plenty of natural light with large windows capitalize on the views. Two covered decks and large fire pit enhance the outdoor living and entertaining. A seasonal pond, buck & rail fence, garage and storage shed help to complete this unique property. High Cross subdivision operates separately from Stagecoach Property Owners Assoc. with lower dues and more flexibility.